Self-catering Gîte with 10 bedrooms and 7 bathrooms. Sleeps 17. Non-applicable changeover. Self-catering Villa with 8 bedrooms and 4 bathrooms. Sleeps 16. Saturday changeover. Self-catering Villa with 2 bedrooms and 3 bathrooms. Sleeps 8. Saturday changeover. Self-catering Watermill with 4 bedrooms and 2 bathrooms. Sleeps 9. Non-applicable changeover. Haute-Garonne (department number 31) is located in the region of Midi-Pyrénées and has an estimated population of 1,169,497 (approximate in 2006). The department is situated in the South West of France. The capital of the department is Toulouse with the towns of Saint-Gaudens and Muret within the immediate area. The department is named after the Garonne River and stretches right down the middle of the region. It borders the Pyrénées and the Spanish borders to the South. Haute-Garonne, despite its ever growing population, still boasts beautiful scenery of undulating hills and valleys. The region as a whole is a popular choice for an active holiday and the Haute-Garonne is ideal for mountainous activities including biking and walking and of course skiing during the winter. If religious buildings are of some interest then the Haute-Garonne will not disappoint. Sites including the Toulouse basilica, the Saint Bertrand-de-Comminges cathedral and the Saint-Just basilica of Valcabrère are on the door-step. Gascony plays a big part in the department and dishes are based on goose fat or oil flavoured with garlic, shallots, and spices. Goose and duck farms produce foie gras, which is then sold fresh or made into pate and terrines. Nothing is wasted, and the rest of the bird is made into confits, preserves used to make stew and soups. Life in the mountain villages and farms of the Pyrenees has remained largely unchanged. Their southern climate means that it can be warm and sunny from as early as February. Roads are good and generally well sign-posted, although snow lies on the higher peaks until May and some of the highest passes may be closed. Toulouse is the fourth largest city in the country and is both the regional capital and the centre of the aerospace industry in France. It is a lively, southern, cosmopolitan city, rich in art and architecture with a fine old quarter and an ancient university. Rugby is a passion and in Toulouse important matches are played regularly. The town of Muret lies to the southwest of Toulouse and is an outer suburb of the city, although it does not belong to Toulouse's Agglomeration community of Greater Toulouse, as Muret declined to join. As with the majority of towns in Haute-Garonne, Muret has great historical interest including the privately owned Château de Rudelle. A 16th and 17th century castle, it is listed as a monument historique by the French Ministry of Culture. St Gaudens is located in the Garonne valley and is the traditional capital of the region (prior to Toulouse). 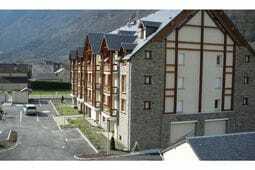 This ancient fortified town lies at the base of the Pyrenean Mountain’s and enjoys views towards the summits. An abundance of historical wealth and ancient architecture is waiting to be explored. In addition to the Chateau and churches, there are also many cobbled streets to wander down including the Street of Pits and the Street of Ramparts. There are plenty of restaurants for all tastes and pockets. Archaeologists have uncovered evidence in the town of human life going back 30,000 years. Villefranche-de-Lauragais is a traditional French town, rich in history dating back to the Cathars. The town has all amenities including a weekly market. The extreme south of the department lies in the Pyrénées mountain range. The highest elevation is the Peak of Perdiguère, at 3,222 meters (10,571 ft) above sea level. There is a regular service between Paris (Austerleitz) and Toulouse by TGV throughout the year including the night train with either Couchettes or wagon lits.